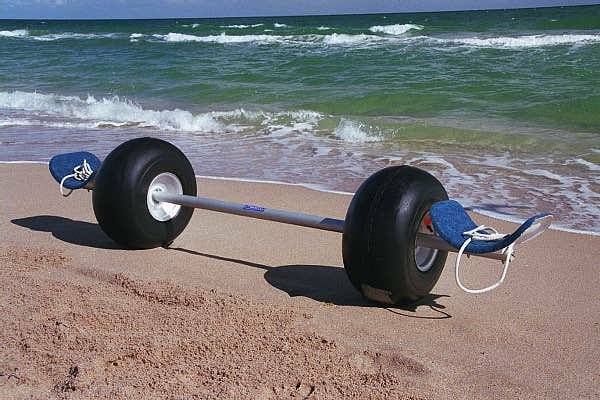 This is the hard wheeled version of the all time favorite catamaran beach dolly. 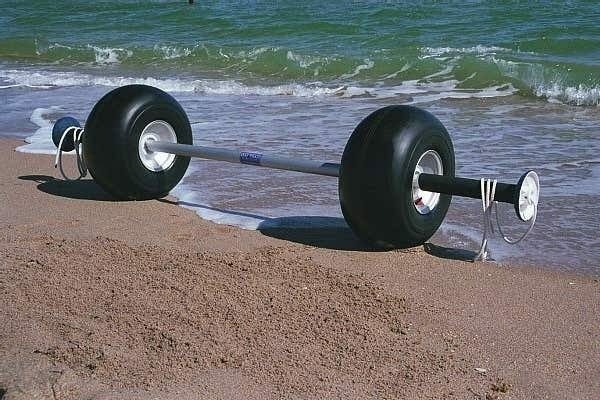 The wheels are rotationally molded polymer the never need air. It is an economical alternative to our CatTrax yet includes all the same features such as the delrin roller bearings and molded, padded end caps to help center the boat. Recommended use would be on hard surfaces. Gravel, grass, or hard packed sand will offer support to allow for easy movement. Not recommended for softer environments. · 2” diameter anodized aluminum axle. · Available in 7’, 8’, or, 8.5’ axle lengths. · 31 lbs. total weight. · Optional hull cradles available.